This requirement has been in effect since September 1983. 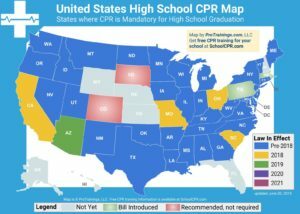 CPR must be taught to all students enrolled in health classes in the tenth grade in Alabama public schools. Standards utilized in the instruction of CPR shall be those prescribed by the American Heart Association or the American Red Cross. Training must be done by an educator who is certified in CPR. If student training results in certification, the educator must be CPR instructor certified through the American Heart Association or American Red Cross. Specific personnel within local school districts are required to receive training and be certified prior to providing classroom instruction. Teaching materials and training courses provided by the American Heart Association and similar organizations may be utilized. (c) All persons providing instruction in cardiopulmonary resuscitation shall be certified as CPR instructors by the American Heart Association or the American Red Cross. (d) Standards utilized in the instruction of CPR shall be those prescribed by the American Heart Association or the American Red Cross. What is required? All students must receive instruction in CPR but are not required to be certified. 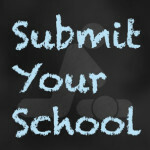 If schools do choose to certify the instructor must be with the American Heart or Red Cross. Current Alabama legislation does not allow districts to use the certification program. Schools not certifying their students are welcome to use the StudentCPR resources for an awareness level program.